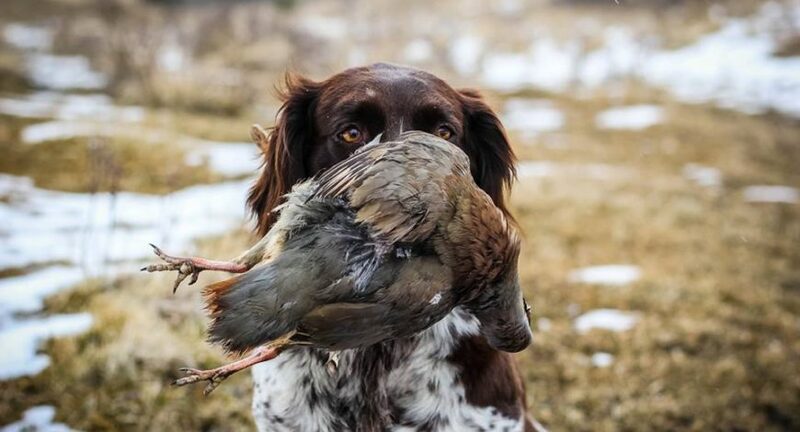 It has been a busy spring for us here in Alberta. We had the unfortunate event of Four Point’s Alberta Bound (Alta) get hit by a truck beginning of March. We had her second set of follow up x-rays beginning of June and are happy to announce that she is almost completely healed and her pelvis, which was broken, healed very well! So with Alta on crate rest, and Tanner and I getting a good workout carrying her up and down the stairs multiple times per day, that left us with one dog to do training with since Lou was still down in Nebraska with Pam and Mario Robinson. Hunting Hills’ Vivi Katy was in heaven, receiving all of the attention which is normally divided between three dogs. Four Point’s Alberta Bound while on crate rest for three months. 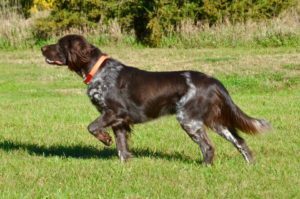 We confirmed the pregnancy of Robingun’s Cindy Lou Who at the end of May and we should have our “B” litter hitting the ground in the next few days! This is a repeat breeding between Robingun’s Cindy Lou Who and Zandor vom Fuchseck. We are quite excited about more puppies hitting the ground from this pairing. 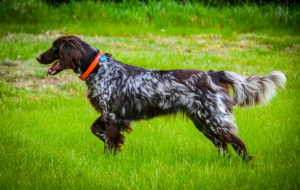 Zandor is an import from Germany from what is known as an “elite” breeding which means that all of the dogs in his pedigree have met or surpassed the testing and conformation expectations in Germany. Zandor is a diligent hunter on both land and in the water and has an exceptional nose. 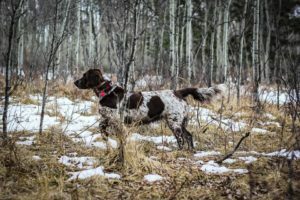 Lou has an exceptional pedigree in addition to her natural hunting ability that she has demonstrated in both upland and waterfowl hunting. Lou loves to work and she has a very staunch point in the field. 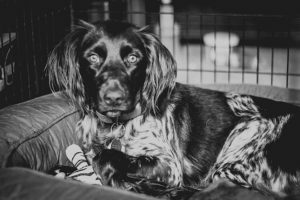 Lou earned a 112 Prize I in her Natural Ability test before she was a year old!